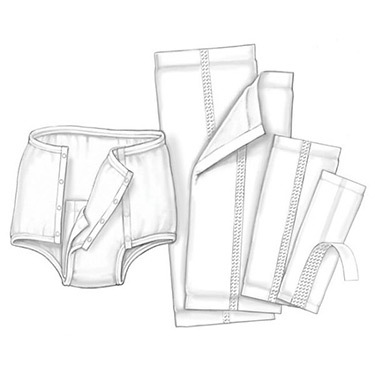 Kendall Garment Liners are designed with a slim silhouette that is undetectable under regular clothing. Stay-dry facing encourages a healthier skin environment and double adhesive strip on the moistureproof backing holds liner securely in place. Liners are designed with a slim silhouette. Encourages a healthier skin environment. Double adhesive strip on the moistureproof backing. Liners are available in four sizes and three absorbency levels. Reusable cotton pants have elastic waist and leg bands.